James Woods Service Details - Toledo, Ohio | The House of Day Funeral Service, Inc.
James Edward Woods, 76, of Toledo, OH passed away peacefully on September 16, 2018 at Hospice of NW Ohio. He was born on September 22, 1941 to the union of Mr. and Mrs. C.D. and Jo Florence Woods in Ruleville, MS. Both parents preceded him in death as well as his brothers, Roosevelt, Tommy, Frank, Lord, and Raymond Woods. In his early years, the Woods family relocated to Toledo, OH and later James found Christ under the guidance of his parents. James attended Jesup W. Scott High School where he was a loyal Bulldog fan and also ran track. James had many hobbies which included riding motorcycles, cars, bowling, and gardening. In addition, he was known as the “Wood Chuck”, when he communicated on his CB radio for many years. He also was a Mason and a member of the Elks Lodge. He retired from LOF after serving 30 years. In 1961 James married his loyal and loving wife, Willie Mae Woods. She preceded him in death after 55 years of marriage. From their union three children were born. 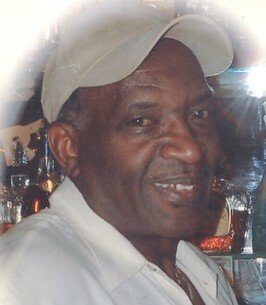 James leaves to cherish his memory his children, Carolyn W. Woods Taege, James G. Woods, Victor L. Woods (Tawanna) and Sonya M. Coogler; grandchildren, Victor L. Woods, Jr., Victoria Woods, James G. Woods, Jr., Vionna Woods, Vontea’ Woods, Jordan Woods, Makenna Woods, Samera Woods Taege, Christian Woods Taege, Shanta’ Coogler and Donte’ Coogler; grandchildren, Victor L. Woods III, Veontae Woods, Travion Woods, Vania Brown, Malia Birdsong, Taylah McKinley, Aaron McKinley, TayOnna Coogler, Donte’ Coogler, Jr., Nevaeh Gray, and Eden Gray; siblings, Charles Woods, Willie Woods (Magdeline), Melvin Woods (Louise), Eugene Woods (Amanda), Jacqueline Bell and Milton Woods; special friends, Armena Bennett and Renee Legree and a host of nieces, nephews and other relatives. To send flowers to the family of James Edward Woods, please visit our Heartfelt Sympathies Store. To the Woods family, I am truly sorry to hear of the loss of your Father. Please accept our condolences and may our prayers help comfort you.